You are invited to attend the opening of 'Culturally Baroque' and 'Antiquarius', a new selection of my paintings exhibited next to classical antiquities from the Mediterranean dated 3000BC - 500AD. The exhibition opens Thursday night, 5.30pm - 7.30pm, 15th of April, 2010 and will continue through to 5pm, Sunday 18th of April, 2010. 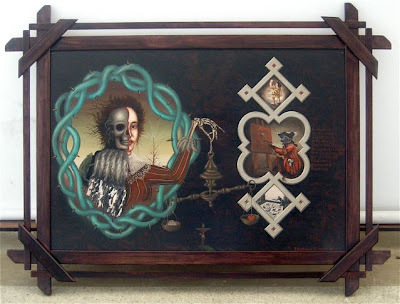 I will be exhibiting selection of new retablo-sized oil paintings on metal, two larger colonial-style framed oils on metal and one large oil painting on canvas. 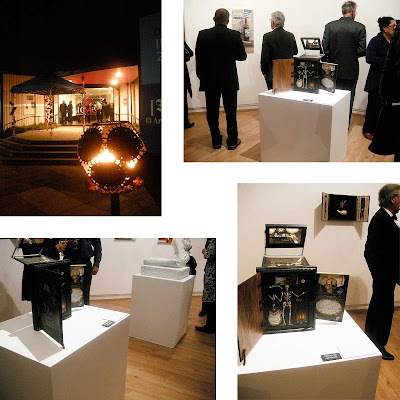 You will be able to view all the work in the exhibition at this link Tuesday the 13th of April and any enquiries can be directed to Mark Hutchins Gallery at mark@mhgallery.co.nz, 216a Upper Willis Street, Wellington. 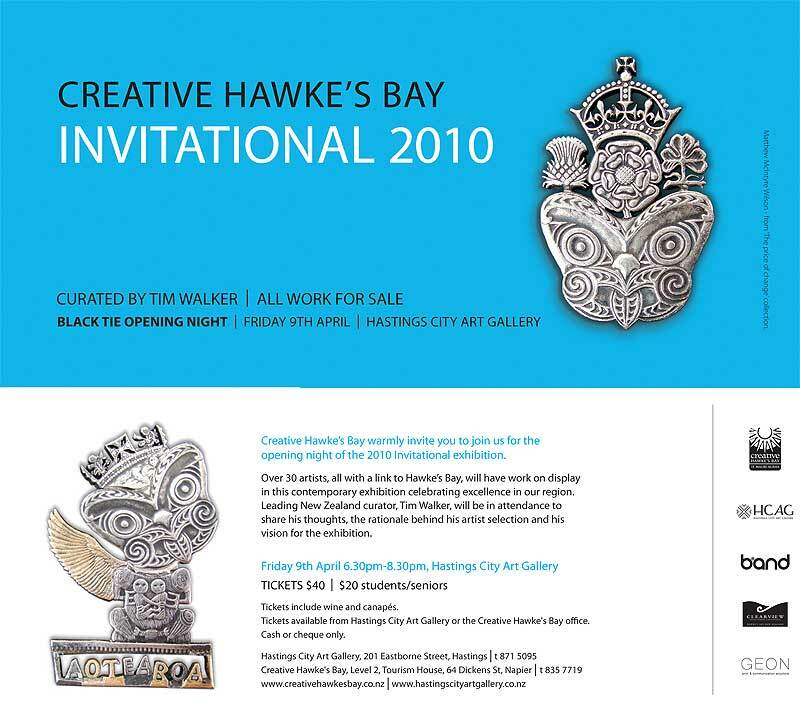 Photos from the opening of the Creative Hawke's Bay Invitational by J.K. Russ. Clockwise from top, left: braziers outside the Hastings City Art Gallery; my work, Reloj De La Recesion (poliptico) on the plinth with Helen Kerridge's Not A Bad Drop on the wall; another view of Reloj De La Recesion and Rectangulo De Tiempos Del Final on the wall; another view with Martin Selman's marble Self-Portrait, Reworked and Revisited. You can view images of my paintings here. 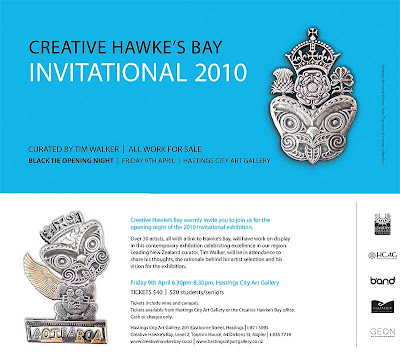 Tonight is the opening of the Creative Hawke's Bay Invitational. Two works of mine from 2009 were selected to be displayed. 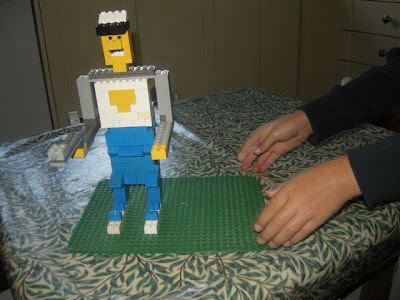 A Lego policeman made by my nephew Tom, with a little bit of help from me. The policeman sports an open mouth, moustache and rifle. 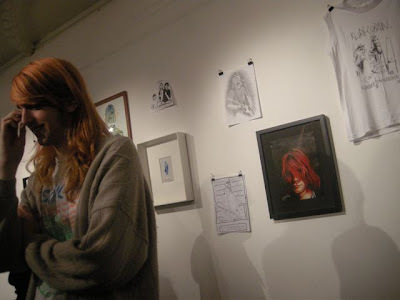 A photo of Benedict Quilter by J.K. Russ at the opening and book-launch of Blue-Eyed Son at Manky Chops, Cuba Street, Wellington. The book Blue-Eyed Son, a limited edition, hardback, full-colour, 44-paged book is available to purchase from Manky Chops at $100 each.